There comes a time when every great has to step down from their pedestal of success and retire from their passion that brought them so much joy, heartache and success. We have seen many stars rise and fall, and there are few who manage to maintain a level of constant achievement and great performances an exception to this rule is Alessandro Nesta. Having started his career through the youth ranks of Lazio the centre-back has played for only two clubs his whole career; enjoying success at both Lazio and Milan. After experimenting with various positions in his youth Nesta finally settled for the role of a centre-back and has never looked back. Despite being a silent leader on and off the field Nesta's presence was felt by all with his ability to make a perfectly well timed tackle, winning the ball swiftly and cleanly. The 34 year-old was most famous for his introduction into the squad when he accidently broke Paul Cascoigne's leg in a training ground accident. Nevertheless; his stellar performances and leadership made up for his error on Lazio's leader as he carried the Biancocelesti to new heights. 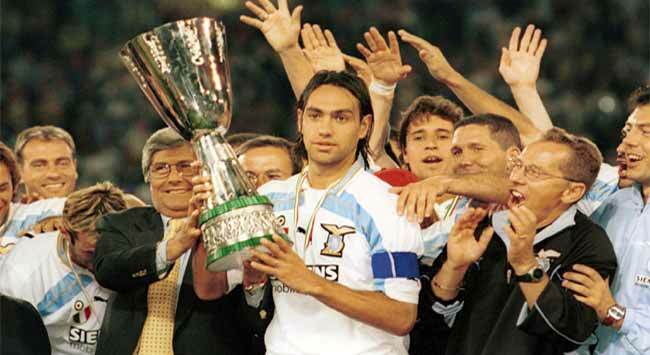 In 1997 Nesta became Captain of the Capital City's side seeing Lazio win the Coppa Italia which he ironically scored the opening goal to defeat Milan. More success soon followed Nesta and his side as they went on to win the UEFA Cup Winners Cup, European Super Cup, and the Scudetto. This accumulation of trophies and financial difficulties saw a battle of Sporting Directors race for the humble leader seeing Milan finally luring the loyal and fanatical Laziale away from the ancient city. With the likes of Baresi, Costacurta and Maldini haven worn or still playing for the side Nesta had a lot of pressure to perform but the ever calm and composed defender once again rose to the occassion. With Maldini alongside him the partnership between the two Italian internationals was chemistry in the making forming a solid wall that few could break down. More success followed for Nesta as he won another Scudetto as well as two Champions League titles followed by a European Super Cup and a Club World Cup. In 2006 Nesta also won the World Cup with the Azzurri but unfortunately sat most of the tournament on the bench due to injury. Despite all this success and fame Nesta has never once strayed into the lime light for the wrong reasons setting him apart from the rest whilst winning the respect and adoration of many. A family man whose loyalty to club, country and family has not gone unnoticed. His passion for football and his desire to succeed leaves no one in surprise as to why he has gained so much success and it will be a heartbreaking day when the great Captain steps down. With his contract set to expire at the end of the 2011 season and his body no longer what it used to be the number thirteen has hinted at retirement stating to Sportsmediaset: "We are almost at the end. I don't want to be dragging myself around the pitch, so will evaluate my physical condition. " It will undoubtedly be a sad day when this football veteran and legend hangs up his boots as their are simply few who can boast about a career like his. So we say to you Alessandro Nesta. We solute you and thank you for all your hard work and dedication. You have been a pure joy to watch with your classy tackles and your excellent leadership. The day you step down will be sad day in football but you will never be forgotten. Grazie Capitano.